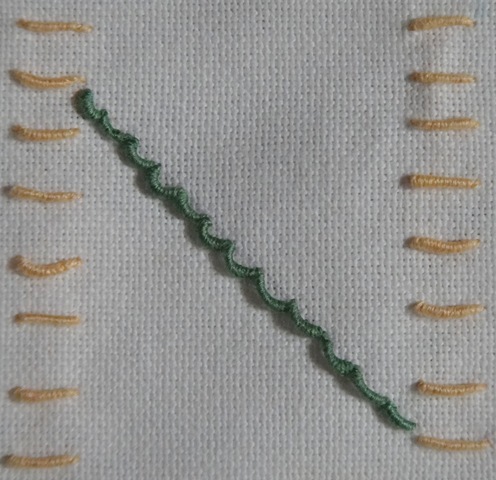 This week the stitch for Take A Stitch Tuesday http://pintangle.com/ was the Bullion knot stitch. This is also known as bullion stitch, caterpillar stitch, coil stitch, grub knot, knot stitch, post stitch, Porto Rico rose and worm stitch. I liked this stitch although sometimes I had a hard time keeping the thread wrapped around the needle as I did the final needle entry. 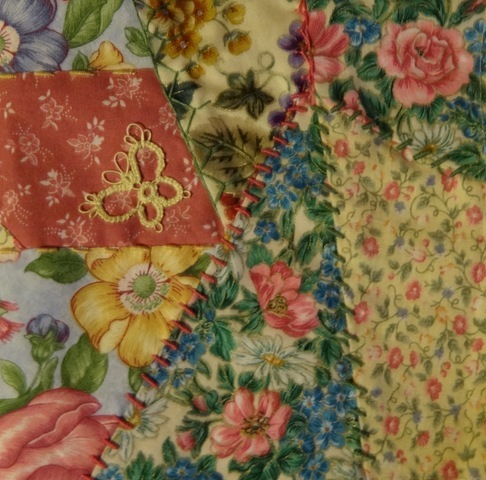 This third quarter of the Crazy Quilt Journal Project block used the Bullion knot stitch to join the various fabric pieces together. I also tatted a yellow butterfly to use on it. 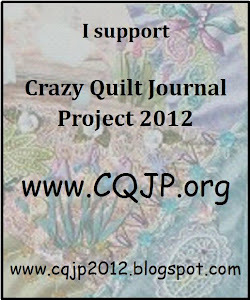 This entry was posted in Bullion knot stitch, CQJP, May, TAST, Tatting. Bookmark the permalink.